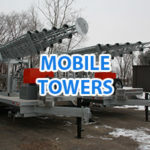 Tower Direct’s UsedShelter.com offers a large variety of new & used telecom shelters. 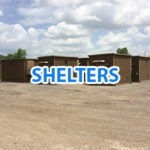 Communication equipment shelters are available in various configurations from walk-ins to stand-alones, double-wides, vaults, and co-location. Choose from a wide range of structure sizes, from small-profile 67″ x 67″ x 7″ to larger units in the range of 24′ x 36′. Surplus telecom shelters & cabinets are structures that are new but have never been installed. Used telecom shelters & cabinets are structures that have been installed at one time but now have been dismantled. 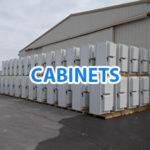 New telecom shelters & cabinets include excess inventory from various manufacturer’s facilities. Used Telecom Equipment Represents a Typical 60% Savings Over New. Surplus Communication Equipment Averages 25% Savings or More. 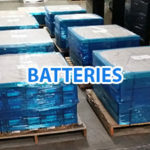 Some shelters include generators, ATS, AC units with controllers, and other equipment. 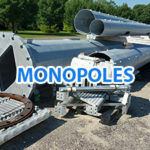 Tower Direct is your trusted source for relocating surplus, used, and even new telecommunication products including towers, monopoles, shelters, cabinets, generators, and more. 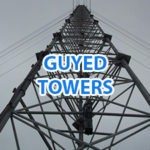 Located in Peoria, Illinois, the home of the first towers ever manufactured in North America, Tower Direct now provides brand name structures delivered anywhere in the world. Let Tower Direct become your trusted source for telecom equipment!